I thought I'd finally tackle writing about this book, though I'm sure I won't do it justice! As I've said countless times before - Wuthering Heights is my favourite and what I consider to be the best love story ever written. A lot of people write that they studied the book in school but I was never that lucky, Shakespeare and Of Mice & Men were our class books, so the first time I came across this book was in my own time. My mum's a huge British classics advocate and I can usually count on her to have any classic novel I fancy reading, this was the case for Wuthering Heights. My first copy, from her, was an old yellowed paperback, whose pages fell out after the first reading, since then I've acquired a newer copy, and an old leather bound copy I'll never read, everyone should own this book. There are "spoilers" below because the beauty of this book doesn't really come from the plot twists and turns - you know the tale is doomed from the beginning, plus it might make someone want to pick it up if they get the gist of the story! WH is the story of Catherine Earnshaw and her Heathcliff, and the twisted, cruel, love they share. Heathcliff is brought to The Heights, the Earnshaw's home, by Cathy's father after a visit to Liverpool. A young gypsy boy, he doesn't fit in with the airs and graces the other children; Cathy and her brother Hindley are being taught to posses. Hindley gathers a growing hatred for Heathcliff as his father's love for the boy grows while young Cathy finds a kindred spirit. As the children grow older and the family suffers loss, Cathy and Heathcliff become inseparable and Cathy's wild temper and outlandish manor seem to be only tamed by Heathcliff, despite these flaws being mirrored in his own personality. In a childish afternoon, as the two are spying on The Height's gentile neighbours; the Linton's, Cathy suffers an injury that separates the pair, Heathcliff back to the Heights to worry about his missing half, Cathy to the Linton's home; The Grange, to get well and unbeknownst to her family, to be forever changed. While at the Linton's, Cathy begins to fancy herself a lady, no longer the free-spirited wild girl running the lush greens of the moors with her gypsy. On returning home, she is embarrassed by Heathcliff, accustomed to the fineness of her new friend, dashing young Edgar Linton. One of my favourite parts of the book comes at this point; Edgar proposes to Cathy, and in a confused rush of conversation with Nelly, The Height's housekeeper, she admits she is going to accept, not realising Heathcliff is privy to the exchange, departing at once upon hearing her news, and therefore not hearing her words about him, about what he is to her. "Whatever our souls are made of, his and mine are the same; and Linton's is as different as a moonbeam from lightning, or frost from fire." Time passes, Cathy and Edgar marry and still Heathcliff has made no return. Hindley has let the heights fall into a dire state, a drunkard after the loss of his wife Frances after the birth of their only child. The boy, Hareton, is not treated as family, and all care is left to Nelly, he is further led away from the path of a gentleman with the return of a figure not seen for three years at The Heights, a man with a refined face, new clothes, and many riches, Heathcliff is come back. Staying at The Heights, he slowly claims the house as his own, Hindley mortgaging it to him through many drunken bets, Hareton becoming no more than his servant. Cathy is elated at the return of her Heathcliff, though Edgar is less than pleased. Determined to have his revenge on Cathy, Heathcliffe announces his love to Edgar's younger sister; Isabella, and the two elope, breaking the hearts of both left longing at The Grange. Isabella becomes, like Hareton no more than a servant, trapped inside The Heights before finally breaking free and fleeing the north. 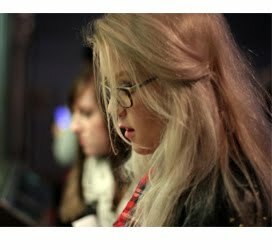 Cathy, heartbroken and despondent to Edgar, falls into a sickness of both the body and mind as she prepares for the birth of her first child. After a final visit from Heathcliff where he damns her for all she has done to separate them, Cathy gives birth to a daughter, named for herself, and passes. "You said I killed you--haunt me then. The murdered do haunt their murderers. I believe--I know that ghosts have wandered the earth. Be with me always--take any form--drive me mad. Only do not leave me in this abyss, where I cannot find you! Oh, God! It is unutterable! " After years, things have changed greatly at The Heights. Hareton is now a man, as is young Linton, Heathcliffe's sickly son from departed wife Isabelle. In a final act of revenge, Heathcliffe kidnaps young Cathy, the perfect image of her mother, and brings her back to The Heights, forcing a marriage between her and Linton before he dies. Trapped inside the house are the four; Heathcliff, Nelly, Hareton and Cathy, and it is at this point the story begins; with a lodger for the abandoned Grange staying at The Heights until weather permits him leave to his new home. While at The Heights, this man witnesses the past and future of the house, from Cathy and Heathcliff to Hareton and young Cathy, through Nelly and the ghosts of The Heights, the cruel tale of a soul split into two bodies, then split again away from one another is lived again. There is nothing I don't like about this story, no it has no happy ending, and because of this many people refuse to class it as a love story, but why should all love stories be about happiness? No one ever questions Romeo & Juliet's genre classification as a love story and that similarly ends in tragedy, which suggests that death and tragedy only work to inflame the theme of love. "My love for Linton is like the foliage in the woods: time will change it, I'm well aware, as winter changes the trees. My love for Heathcliff resembles the eternal rocks beneath: a source of little visible delight, but necessary. Nelly, I am Heathcliff! He's always, always in my mind: not as a pleasure, any more than I am always a pleasure to myself, but as my own being. So don't talk of our separation again: it is impracticable..."
I love the character of Hareton, especially his interaction and relationship with Heathcliff. Hareton becomes a character so like Heathcliff in his youth, thoughtful and wild, treated as a lesser man and never thinking himself good enough, yet Heathcliff treats him with no compassion, perhaps because he so hated the way he was and the way Cathy treated him when he was of such a temperament, that he cannot stand to see himself in that way reflected in the young boy, and in turn ends up treating Hareton in the way Hindley did to him. If you haven't read this book, please do. It is one of the best examples of classic literature being relevant in today's world and will always be a firm favourite of mine. Also, if you're interested in seeing an adaptation, the early 90's film with Ralph Finnes as Heathcliff is fantastic, as it the ITV adaptation from 2010 which stars Tom Hardy. I would however stay away from the recent 2011 adaptation with Kaya Scodelario, as I feel it's too far away from the story, Heathcliff is so wrong, and it feels like a modern, indie remake, which I'm far from keen on. 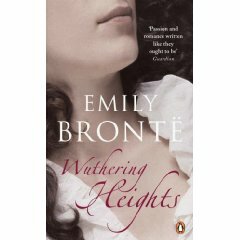 What do you all think of Wuthering Heights and Cathy and Heathcliff's relationship? It's funny that I have an idea that I didn't quite like the book when I read it. I did give it four stars though but I'm not sure that I quite got it. I want to reread it at some point since my recollection now of what I thought about it back then and what I really thought after reading it, are not quite in sync... Your love for it made me want to reread it even more. I think that can happen really easily with older books, let me know what you think if you do re-read!